Glenn Beck says he has adrenal fatigue. That’s not a real medical condition. Glenn Beck says he has adrenal fatigue. Endocrinologists beg to differ. Bright-eyed and bushy-glanded once again. Wilson also says his book on adrenal fatigue has been “received enthusiastically by physicians.” Not exactly. The Endocrine Society—the world’s largest association of people with formal, legitimate training in the treatment of adrenal disorders—says that adrenal fatigue is “not a real medical condition.” The group goes on to say that the diagnostic tests are “not based on scientific facts or supported by good scientific studies,” and that some of the supplements prescribed for the disorder, which include extracts of animal glands, have not been adequately tested for safety. * The statement concludes by urging patients “not to waste precious time accepting an unproven diagnosis.” Endocrinologists apparently do not beat around the bush. There’s a particularly irksome layer to Beck’s story that shows how quacks sell themselves to patients. If his account is to be believed, it appears that some of Beck’s treatment providers spent as much time stroking his ego as treating his ailments. Beck claims that the doctors told him it was “normal for someone processing as much information as he was” to become disoriented and forget familiar faces. There are many things wrong with this statement. First, I’m not sure how a doctor could quantify Beck’s daily information processing burden—whatever that means—let alone conclude his was higher than the data load of us mere mortals. Even if that calculation were possible, is there any evidence to suggest that people who “process” high levels of information forget what year it is? If that’s true, I think we need to worry much more about air traffic controllers. Beck also said that his doctors “told him he should not have been standing, and only his faith in God had kept him moving.” Wow. That doctor certainly knew how to make Glenn Beck purr. Or perhaps Beck confused his doctors with his priest. Either way, I humbly suggest that you seek a second opinion when a doctor attributes your health to divine intervention. A final, more general point: Why do celebrities keep forcing us to have these conversations about their private medical problems? Glenn Beck, Tom Cruise, Jenny McCarthy, and their ilk are entertainers, but they don’t know the first thing about evidence-based medicine. Their commentary isn’t helpful to people who do, and it has the potential to mislead people about how to manage their own health. “When you get celebrities touting their personal stories and what they think is a cure, you’re going to see some ‘outbreaks’ among patients,” says Vigersky. 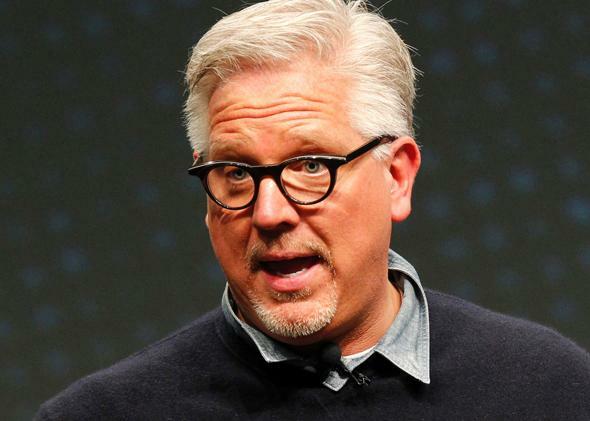 So welcome back, Glenn Beck. Now please get back to making misleading statements about politics, and leave medicine alone.